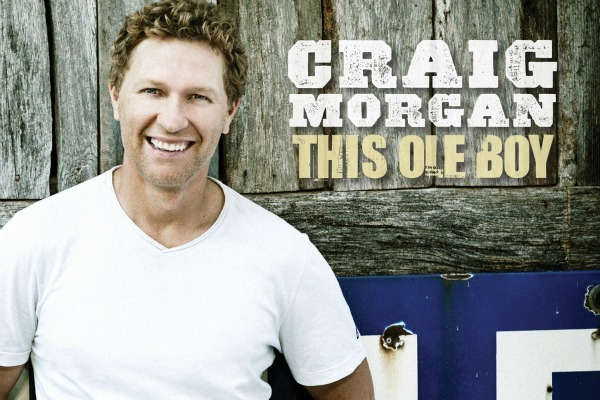 World's Worst Songs: Craig Morgan's "Corn Star"
I grew up on a farm. The proceeds from a small herd of dairy cows put clothes on our backs and two of us through college. Farming is hard, and not just physically. To succeed, you need to be part meteorologist, part chemist, part mechanic, part veterinarian, and part 57 other things that most people are not. Farmers today are hooked up to the Internet, they have satellite TV and cell phones, and they hold their own in our urbanized culture. They may live in the country, but they’re not ignorant rubes. Because all of that is true, the recently released “Corn Star” by Craig Morgan has to be one of the World’s Worst Songs. Morgan has tried to carve out a particular niche in country music—the guy who does agricultural songs. His “International Harvester” was a big hit in 2008, all about driving one of those big farm implements up the highway at five miles an hour (which you see often out here in the Midwest), and flipping off the angry commuters behind him. It’s dumb, but endearingly dumb to me, because I’ve known guys like that. But “Corn Star” is another thing altogether. It’s about an attractive girl (rumored to be a former stripper, which accounts for the sniggering joke of the title) who’s got all the boys transfixed as she goes about her farming business at the feed store and the county fair, and out in the field. The intent is to portray her as the salt of the earth; Morgan and the song’s writers, Jeffrey Steele and Shane Minor (who wrote “International Harvester”), would probably see “Corn Star” as a celebration of farmers and farm life, a clever shift of the attitude you’d find (for example) in a hip-hop number about a hot girl in a club. What it actually does is to objectify the girl in a way that’s extreme even by the standards of contemporary country. Besides objectifying its subject, “Corn Star” also shows contempt for its audience. It will zoom over the heads of citified country music fans, the kind of people who think rural life really is the way country songs portray it, but to people still living the rural life, the insult should be obvious. This is who Morgan, Steele, and Minor think you are: not smart people with specific high-level skills, people who read books, drink wine, play the markets, and send your kids to college, but half-educated dipshits who can’ t stop ogling a girl in a tube top.